I know that I am due for a post about my NY trip... but while I am working on that I thought I would do a giveaway for my lovely readers! I actually just hit 200 followers so I guess it's a double celebration. Without you guys, there would be no reason for me to attend these conferences and events in NY. So I hope you know how much I appreciate and love your support!! After LuckyFABB, IFBCON, NYFW and all the events I attended I was basically swimming in swag! Tons of makeup, beauty products, samples and free items later, I realized there's no way I can use everything! So I've put together a little goodie bag for one lucky reader. 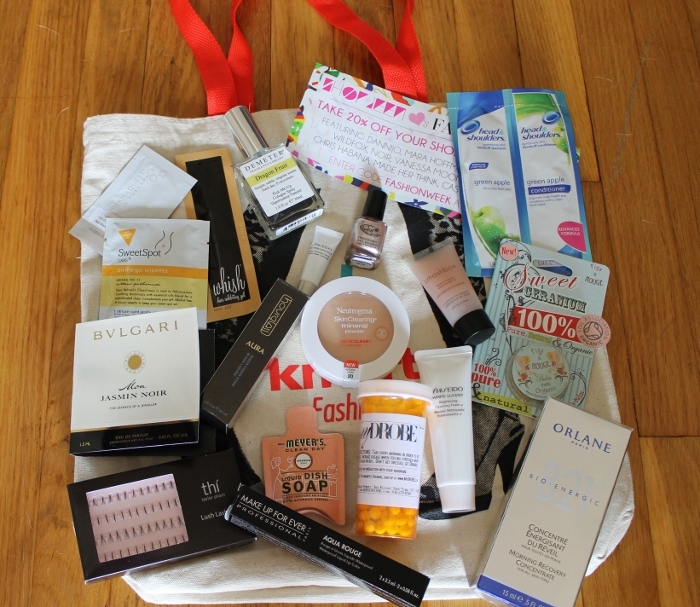 It includes a custom canvas fashion tote designed by Kmart, Orlane face cream, super fun false lashes, Smashbox primer, nail polish, Neutrogena foundation and so much more! Follow me on Instagram (@NRich14). Snap a picture of your favorite beauty product and make sure you tell me why! Upload it to Instagram with the hashtag #BADBeauty and tag me in the post. (note - if you don't have Instagram you can do the same steps with Twitter) Make sure you include the hashtag and my handle or else I won't be able to find your entry! 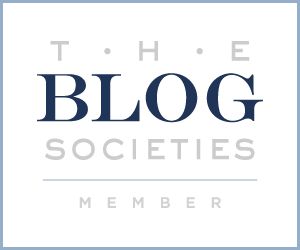 Follow via GFC or Bloglovin. Leave a comment on this post telling me your favorite beauty product and why. Don't forget your email so I can contact you if you win! I can't wait to see what beauty products you guys love. And maybe new things for me to try.. Good luck and Happy Monday! Please note: Giveaway is open to U.S. residents only. Up to 2 entries per person. Winner will be chosen at random via Random Number Generator. Giveaway ends at 10:00pm PST on September 25th, 2012. I will announce the winner in a blog post. The winner must respond within 3 days of announcement to claim the prize. If there is no contact by the 4th day or the winner is not a follower, I will choose another winner at random. Oh how exciting!!! Congrats on 200!!!! My current favorite beauty product is the Loreal Collagen Night/Day facial cream. My skin is loving it so far! Yayy! My favorite beauty product is my Nars matte lipstick in "Dragon Lady." It's a great bright red that can transition from summer to fall. My fav beauty product is Laura Mercier Tinted Moisturizer...cant live without it! Wow that's quite a loot, you're one lucky girl! Smashbox primer is one terrific product....good luck on your giveaway lady!!! I just followed you on Instagram as @katygmorris and tagged you in a post of my current favorite beauty product, Deborah Lippmann nail polish! I also follow you on Bloglovin as katygmorris.